Yonex Belgian International 2018 is now really getting near. Last we were very proud to be able to present a preview on the tournament after the draw was received. Now it pleases us greatly to announce the tournament schedule. On Tuesday the draw of this edition of the Yonex Belgian International took place and afterwards Badminton Europe had it published online. You can view the draw here. With the draw available Badminton Vlaanderen contacted Helger Van Werde. He took some time to look into detail at the draw en returned to us with a preview on the tournament (in dutch only). Today the acceptance list of our fourteenth edition was published. On the BWF tournament page you can find which players/pairs made it directly to the main event, who has to play in the qualifying rounds and what the lists of reserve players have to offer. 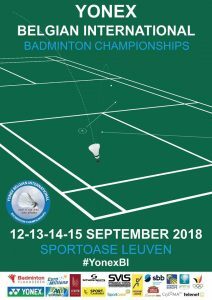 On June 2, 2018, the poster of the 14th edition of the Yonex Belgian International was presented to the general meeting of Badminton Flanders. 2000 copies will be printed on A2 and from mid-June you will see them hanging at various locations in Flanders. If you would like to have one (or more), do not hesitate to contact Koen Mutton. Welcome to Yonex Belgian International. 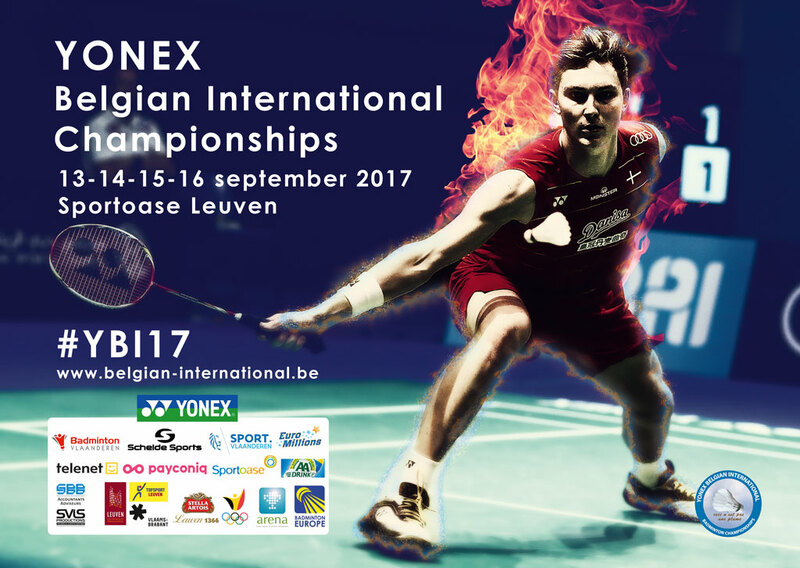 Since 2005 Badminton Vlaanderen is organizer of this ‘International Challenge’ tournament which is part of the Badminton Europe Circuit. Furthermore the tournament is added to the international calendar of the Badminton World Federation and therefor players get awarded with world ranking points at this tournament. Because of this our tournament is bringing international toplevel badminton to Belgium every year. The tournament is highly appreciated within the European badminton circuit and our organizational team is definitely responsible for that. It consist of a healthy mix between experience, talented young people and a lot of enthousiasme. They already started with their preparations for the Yonex Belgian International edition 2018. As these preparations will evolve, we will be able to offer you better en more detailed information regarding schedules, participant, our partners, promotions, … In the mean time you can look back at our previous edition. On August 18 the M&Q list of the Yonex Belgian International was published. We are expecting a lot of interesting players! Take a look for yourself on this web page. For now we are awaiting the draw on August 29. More info can be found on the other pages of this website. #YBI17 will start on September 13, we are already looking forward to it! See you there! On Friday, September 15th, we go the extra mile with the well known Ladies Special! Ladies, women; we are looking at you. Come and enjoy great badminton, sweets, custom made cocktails, a goodie bag and much more. On top of that the entrance for women is free. In short: mark September 15th in your agenda, ladies, because it will be an unforgettable evening!